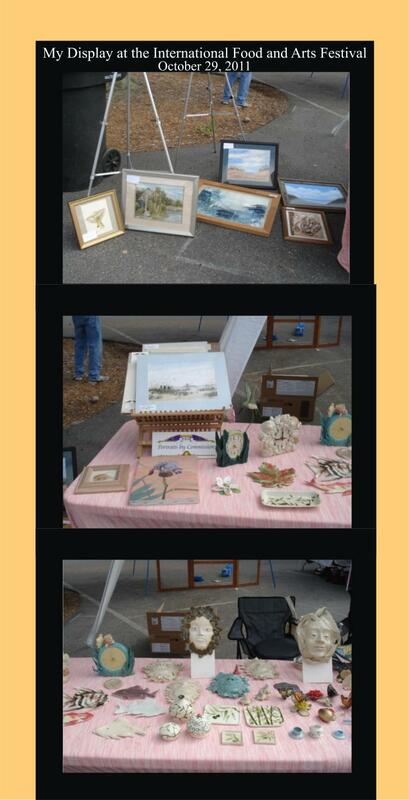 The wind was so bad at the festival I had to lay my paintings down on the pavement. I had a booth there. but the people who were there were friendly and very complimentary! There were 14 venders there. There were a good many people..It was good weather and the people were great. I met a lot of very nice people who I hope to see again some time! from 9:00am to 5:00pm est.